Stockdales is delighted to be the nominated charity for Sale’s first ever Santa Dash. The event is being organised by running club The Mile Shy Club and will take place on Sunday 16th December at Sale Water Park, Rifle Rd outside Treetops Café from 9am onwards. It will include 2.5K and 5K dashes for people of all ages to get involved in. The Mile Shy Club club helps people get into running in a safe, fun, and supportive way. 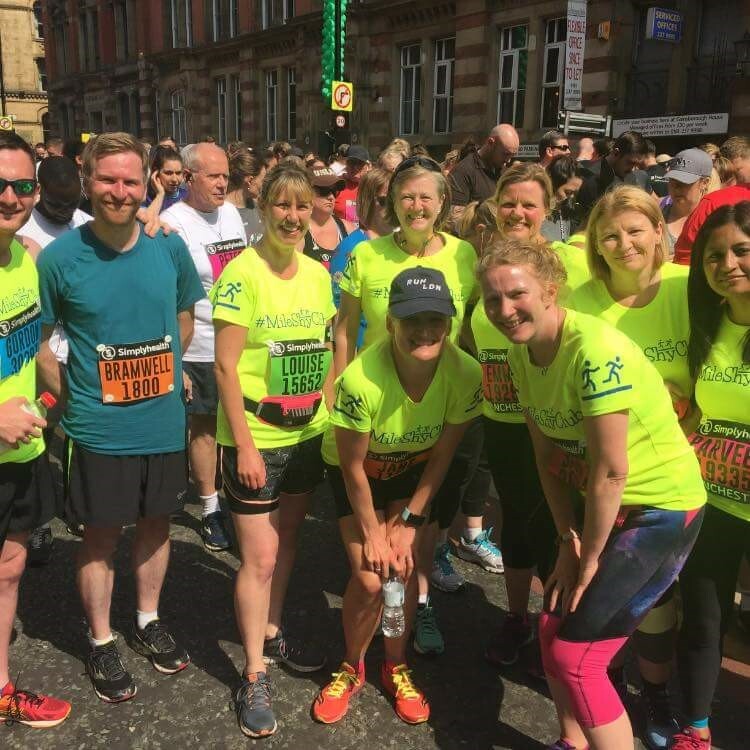 Specialising in beginner runners, the club has had significant success within the Sale area, featuring in Runners World and the BBC this year. As part of Christmas running traditions, members of the club have participated in Santa Runs over the years, but club founder Jane Dennison noticed last year that there had never been a Santa Dash in Sale. It means so much for Stockdales to be the chosen charity for the Sale Santa Dash and we’re very much looking forward to the event. As well as having the opportunity to raise money at the event, we’re hoping to get some of the people we support involved in the Dash too. Big thanks to everyone at the Mile Shy Club for their kind support. It’s going to be a brilliant event.